Week nine did not bring about many relevant injuries in the world of fantasy football, but with one more week of byes remaining on the NFL schedule, and powerhouse offenses like the Packers, Saints and Chargers all set for their week off, many owners will find themselves scrambling for some last second replacements. Most notable are the losses of quarterbacks Philip Rivers, Aaron Rodgers and Drew Brees. So are there any worthy replacements available on the waiver wire? Here are some names you may want to look out for, and if you are in need and can get your hands on them, don’t hesitate to do so. 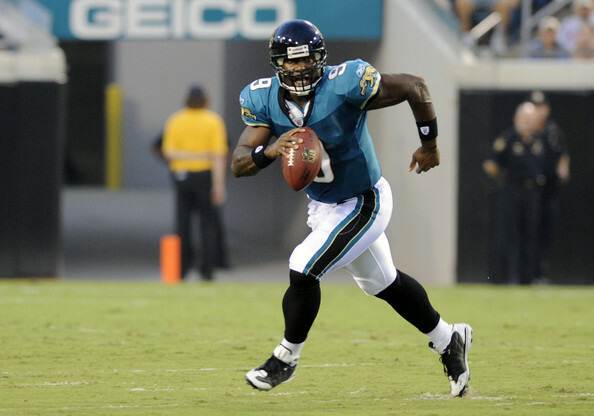 David Garrard, QB, JAC – With the Jaguars on their bye in week nine, many fantasy owners may have felt the need to drop Garrard. If that was the case in your league, be sure to turn their mistake into your gain. Garrard is not a great option for those looking for a full-time replacement as he tends to be quite inconsistent, but he should have a strong game against the Houston Texans’ league-worst pass defense in week 10. The Texans’ gave up four touchdowns to the Chargers’ practice squad receivers, and we don’t expect them to turn things around anytime soon. Shaun Hill, QB, DET – The Buffalo Bills may not be giving up a lot of yards through the air this season (they currently rank 6th in the league in passing yards against per game), but they have allowed a dreadful 17 passing touchdowns against and have only recorded one interception through eight games. Whether it is Shaun Hill or Drew Stanton playing quarterback for the Lions on Sunday, either play-caller should be able to put up some respectable numbers as a week 10 fill-in. Nate Washington, WR, TEN – One trend that has become apparent as Randy Moss moves around the league this season is that whoever happens to be playing on the opposite side of him at the wide receiver position always tends to benefit from his presence. Being the deep threat that he is, Moss always seems to attract at least two, and sometimes three defenders. If he can do the same in Tennessee, we expect Nate Washington to be the beneficiary of his arrival. Sidney Rice, WR, MIN – Those at the top of their league standings may already be looking forward to the playoffs. If that sounds like you, I advise you get your hands on Sidney Rice if he is still available in your league. Rice was a top fantasy producer last season at the wide receiver position. If he can come back soon and regain his form in time for the fantasy playoffs (week 14 in most cases), you will be happy you added him to your roster in advance. Vincent Jackson, WR, SD – Much like Rice, those who are looking for playoff reinforcements at the wide receiver position are advised to make their move now for the Chargers’ Vincent Jackson. It seems like whoever Philip Rivers is throwing the ball to is a great fantasy asset, and there is absolutely no reason to believe that the same wont be true of Jackson upon his return. Look for he and Rivers to get their timing back during the next few weeks of practice, and he should be able to make an immediate impact upon his return to the Chargers line-up in week 12.